This right here is the most preferred option for first-timers because the ceramic plate material used is very effective in hair straightening. It heats up very quick and can hold and distribute heat evenly. 2 – Titanium Variant One of the newest variants of flat iron for hair straightening is made of titanium plate and it’s very durable and long lasting. Based on scientific studies, titanium is actually better than ceramic, at least in this regard because it is a better conductor of negative ions. Proponents of titanium flat irons contend that it is best used for hair that recently has been subjected to extreme weather conditions. 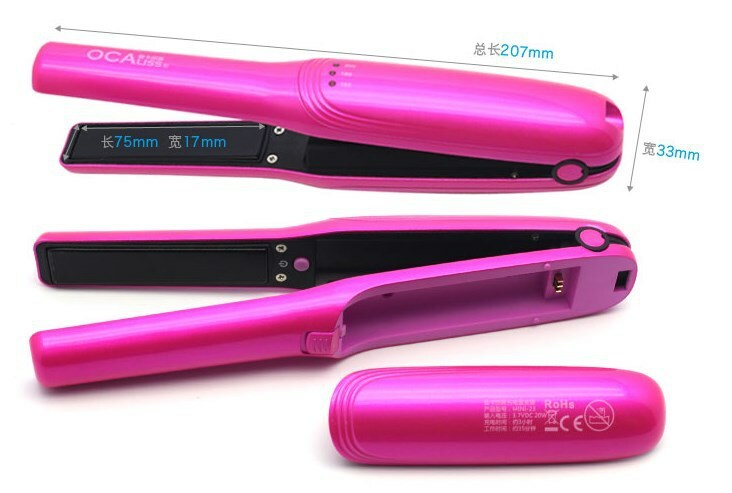 3 – Tourmaline The fact that tourmaline straighteners are widely considered as the least damaging of all flat iron varieties is reason enough for you to consider it as your first ever pair of flat irons. The truth is tourmaline is really just made of ceramic plates, but the difference is that there is an additional coating of crushed gemstone, which ensures that the hair styling tool will easily slip down the hair in a single pass, therefore preventing damaging hot spots in the process. 4 – Professional Hair Straighteners But if you feel like those three we just talked about aren’t good enough for you, the last choice would be a pricier professional straightener. If you do decide to get this one instead, you must be prepared to pay about $80 to $100 more for it compared to the prices of those previous three. The benefit of paying for its hefty price tag though is that you expect to get better quality and less chances of damaging your hair. Because there are so many brands of flat irons out there, it is best that you look for and read reviews about those you potentially want to buy so that you’ll have a clearer picture if current users are satisfied.